Implementation of the Veterans Choice Program (VCP) allows Veterans to receive care paid for by the Department of Veterans Affairs (VA) in community settings. However, the quality of that care is unknown, particularly for complex conditions such as posttraumatic stress disorder (PTSD). A cross-sectional survey was conducted of 668 community primary care and mental health providers in Texas and Vermont to describe use of guideline-recommended treatments (GRTs) for PTSD. Relatively, few providers reported using guideline-recommended psychotherapy or prescribing practices. More than half of psychotherapists reported the use of at least one guideline-recommended psychotherapy for PTSD, but fewer reported the use of core treatment components, prior training in the GRT(s) they use, or adherence to a treatment manual. Suboptimal prescribing for PTSD patients was reported more commonly than optimal prescribing. Findings raise critical questions regarding how to ensure veterans seeking PTSD care in community settings receive psychotherapy and/or prescribing consistent with clinical practice guidelines. Portions of this work were presented at the VA QUERI Field-Based Meeting in Washington, DC on 8 August 2016. The views expressed are those of the authors and do not reflect the official views or policy of the Department of Veterans Affairs (VA) or US Government. We gratefully acknowledge funding received through the VA Quality Enhancement and Research Initiative (QUERI; PEC 15-243), in partnership with the VA Office of Analytics and Business Intelligence. We would like to extend special thanks to Dr. Amy Kilbourne and Dr. Joseph Francis for their support throughout the course of this work. During manuscript preparation, Dr. Finley was also supported by the VA-funded EMPOWER QUERI program (QUE 15-272). The Management of Post-Traumatic Stress Working Group (2017) VA/DoD Clinical Practice Guidelines. VA/DoD Clinical Practice Guideline for the Management of Posttraumatic Stress. U.S. Department of Veterans Affairs. Available online at https://www.healthquality.va.gov/guidelines/MH/ptsd/cpg_PTSD-full-201011612.PDF. Accessed 8 April 2018. Finley EP, Noël PH, Lee S, et al. Psychotherapy practices for veterans with PTSD among community-based providers in Texas. Psychological Services. 2017. https://doi.org/10.1037/ser0000143. Kilpatrick DG, Best CL, Smith DW, et al. (2011) Serving those who have served: educational needs of health care providers working with military members, veterans, and their families. U.S. Department of Veterans Affairs. Available online at https://www.hsrd.research.va.gov/for_researchers/Serving-Those-Who-Served.pdf. Accessed 8 April 2018. Lewis CC, Marti CN, Marriott BR, et al. 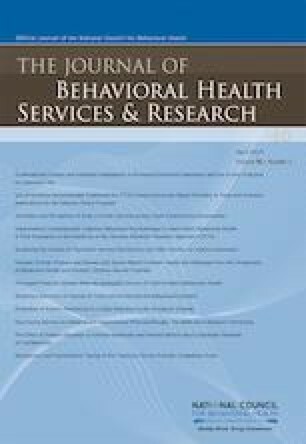 Patterns of practice in community mental health treatment of adult depression. Psychotherapy Research. 2017:1–8. https://doi.org/10.1080/10503307.2017.1303210.